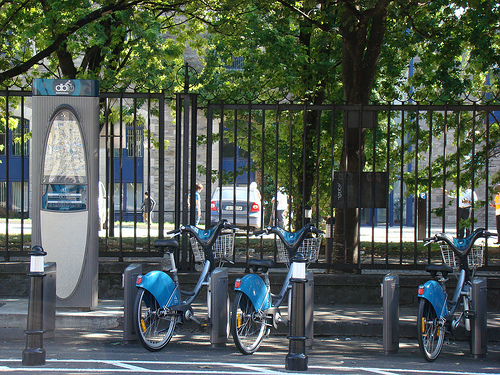 Up to 20 of the 58 planned extra DublinBikes stations are “due to be constructed by Christmas”. The council has previously said that new stations will be added to the system one-by-one as work on each of the new stations, and one station being expanded, is finalised. The expansion includes 950 new bikes and around 2,000 extra parking stands at the 58 planned stations. When the expansion is expected to be completed next summer the system should have 1,500 bikes and 102 stations with around 3,000 stands. As we reported last week, work has started on the expansion of the Talbot Street station –the only existing station which will have stands added to it. The current station is expected to be closed until Saturday November 9.